T-Shirts.com has you covered, literally, if you want to clothe yourself in premium torso wear. 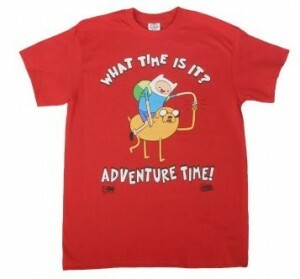 As part of the announcement by Cryptozoic about their new Card Wars game, they've kindly offered up a brand new Adventure Time shirt of the winner's choice to one lucky TGN reader! So what does it take to win? Simply reply down below with your favorite Adventure Time quote! One winner will be chosen at random on Monday. (Note: Contest open to US residents only this time, everyone).